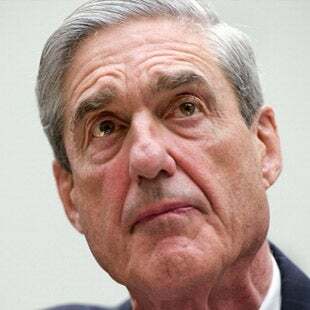 RUSH: Have you heard the latest about Mueller, the Mueller investigation? By the way, this was predicted too. Now, I was not the lone voice predicting this, but I was one of a few. That Mueller was going to start eventually looking — this was months ago that I warned you about this, by the way — that Mueller and his gang are gonna start looking into Trump’s finances pre-2016. I remember the day that I made this prediction. The faces on the other side of the glass contorted in anger and disbelief. My staff, my highly overrated staff was livid when I made this prediction because they knew it was right. And, lo and behold, it has been announced — well, it’s kind of been leaked by Gloria Borger and the gang at CNN. And the only reason they would know, the only way they would know is if the Mueller gang is leaking it to them. In fact, we can play for you the audio sound bites on this. We will start here with sound bite number six, number seven, and number eight. Here we go. This illustrates it to a T.
RUSH: There’s no way he’s given up any angle. Trump remains the target, Trump began as the target, Trump remains and will always be the target until they end this nefarious thing. And they are not gonna end it until they’ve got ample data and evidence, quote, unquote, to do great damage to Trump. There’s no question that this is not gonna abate any at all. It’s not gonna fall by the wayside. 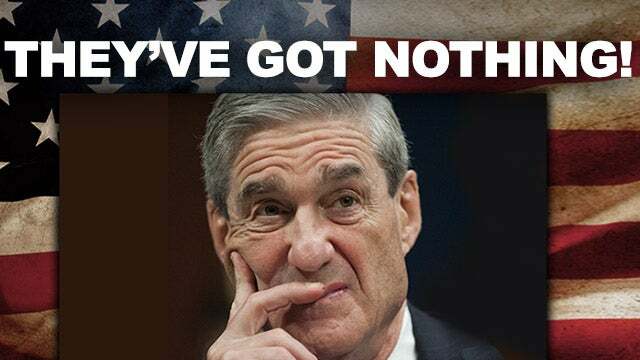 Mueller and his gang are not gonna lose interest. The media’s not gonna lose interest. And so it’s now reported that Mueller — and this is months ago I made this prediction. Cookie, don’t bother finding it here. I’ve got enough to do without spending a lot of time in the archives. But I remember it was late last year I think that I predicted that Mueller was gonna go for Trump pre-presidential financial investigation. And, lo and behold, it looks like what Mueller wants to focus on is Trump’s Miss USA pageant and its relationship to Russia. You know, he owned it and so forth. Here’s Gloria Borger last night, Anderson Cooper 222. BORGER: We’ve been told from sources who have been interviewed by Mueller that they were asking, among other things, when exactly Donald Trump decided to run for the presidency, how the Miss Universe pageant was financed, and also why two potential deals to brand a Trump Tower in Moscow fell through. RUSH: Can you believe this? BORGER: We spoke with one source who said that he was asked whether there were Russians hanging around the offices of Trump Tower, and the source said, “No, there weren’t any.” What the special counsel’s office is trying to do is just really figure out where this relationship between Donald Trump and the Russians is, or if there is one at all. The Russians… When Trump’s entourage shows up, the Russians must have known that Trump was gonna run for president, and the Russians must have known that they could engage in practices and behavior that would ensnare Trump and give him trouble on down the line. What a bunch of really bright guys the Russians are! Look at what they knew that nobody else knew. And then we got the Steele dossier when Trump was there with the Miss USA pageant. That’s when he hired the prostitutes to show up at the hotel room and urinate on the bed. So this news was so big, this news was so exciting, CNN could not contain it within its own boundaries. They had to go out there to Jurassic Park. They went out at feeding time and they found an old journalist dinosaur, Carl Bernstein. They put him on a leash. They dragged him inside and asked him to comment on all this. BERNSTEIN: These same attorneys that Gloria and others — myself — have talked about, some of them now have concluded that what Mueller is doing, among other things, is he is going to present a vast narrative. A report of the Trump family — Donald Trump, President Trump, the Trump organization, Russia — and the business dealings of the family, the organization, and the internecine dealings of those people with Russians, ethno-Russians, and how American policy –presidential policy — might have been affected or might not be affected. The president of the United States seems absolutely oblivious to the danger here, and this is part of the narrative. BERNSTEIN: It’s all sitting together in what Mueller is trying to do. But the extent of criminality? We don’t know. RUSH: There you go. That’s in every story. In every report, you get something along the lines of “the only thing we don’t have here is any evidence.” And that’s what Bernstein is saying here. “But the extent of criminality, we don’t know.” Carl, you don’t know anything! There isn’t any evidence of any Trump culpability, crime, collusion as it pertains to the election. Now they’re looking into Trump’s business practices prior to 2016. You know that they’re gonna find something. They could find something on anybody! They can make it up. They can do anything they want. They can get somebody to flip and say that they knew that Trump did this or did that. They’re going to get something, and they are hell-bent on getting it. And they don’t care. I’m telling you. They don’t care about Manafort, they don’t care about Page, they don’t care about Gates, they don’t care about any of them. They care about Trump. All of this is still aimed squarely at Donald Trump, and it is for one reason: He had the audacity to win. Period. He had the audacity to win. And then there’s some other things. They don’t like his mannerisms. He’s not sophisticated enough. He don’t have the proper pedigree. He is an embarrassment to refined people, the refined people of the Washington establishment. Even though he is implementing an agenda that many in the establishment happened to love, support, and agree with and have said so all of their lives, they still hate Trump and want him gone. So it’s never been more obvious ruling class versus country class, establishment versus plebes, but they’re not going anywhere. The Democrats are relying on this to be their primary vehicle for victory in the 2018 midterms. And there is gonna be something. Mueller is gonna have something. And Moochelle (My Belle) Obama, her book is gonna come out in November. Now, you know damn well there are gonna be excerpts, and there are going to be interviews and so forth. All of this is designed to transfer control of the House of Representatives to the Democrat Party for the express purposes of moving forward on impeachment. It hasn’t changed. It isn’t going to change. And all of this — the story about the shooting in Parkland, Florida, virtually every story that involves the Democrat agenda — is focused as a laser on the premise here of getting rid of Trump. That is what practically every news story the Drive-By Media focuses on really is about and where it is ultimately aimed. RUSH: Grab audio sound bite No. 25. Just to get this out of the way, this is me from last June — June 16th of last year — on this program. RUSH: Yep. I made that prediction six months ago. Well, now it’s coming up on nine months ago. Well, let’s say eight. But it was a long time ago, and I’m just reminding you because the news has leaked. Gloria Borger at CNN think she’s got a hot story that Mueller is looking at Trump’s finances pre-2016. There’s none of this that ought surprise anybody. Now, I don’t get leaks. I don’t have any leaks. I don’t know what these guys are doing because somebody tells me. Like Gloria Borger and rest of these people in the Drive-Bys, these clowns, they survive on leaks and press releases and who knows what else. I don’t get any of that ’cause I don’t cultivate these people. I don’t talk to anybody. Folks, I’m probably the least conversant person in media. I probably talk to fewer people in a day… I talk to fewer people in a week than most media people talk to in a day. I don’t talk to anybody. I rely on instinct, intelligence guided by experience — and in some cases, experience guided by intelligence. It works both ways. You have to know which one to be guided by during the specific circumstance. But this to me has been obvious, and they’re gonna try to destroy Donald Trump. That has always been the objective, even before the special counsel was formed, and it’s for no other reason than he won. The audacity of winning! He had the audacity to mean it when he ran for president. That’s the big deal, and then all the other things? The advancement of his agenda? The success he’s having? Well, that’s just icing on the cake. That just makes it double-down important he’s gotta go. Do you realize what’s happening here if you put it down in strict, basic terms? 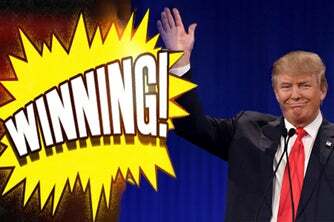 Somebody who has never been in politics, somebody who has never run for office, somebody who’d never won an election runs for president and wins, and in one year enacts 65% of his agenda as laid out during his campaign, including a relentless, not-stopping assault on illegal immigration. And in the process, look at what Trump is causing. Look at what he’s exposing. Look at this mayor out in Oakland, California, Libby Schaaf. Look at what he is making the left do. The left is so enraged and so panicked over every Trump success story that this mayor of Oakland is actually warning illegal aliens that live in Oakland how to avoid Immigration and Customs Enforcement agents doing their roundups for deportation. The mayor is aiding and abetting criminals and helping them avoid federal agents. All of this is being done under the concept of the “sanctuary city,” which is a subset of the sanctuary state. Now, this is causing people who otherwise don’t know the truth about liberals and liberalism to see them as they really are in action. They’re seeing the lawlessness. But more importantly, a lot of people are seeing that the Democrat Party cares more about illegal immigrants than they do American citizens, be they African-American; be they lesbian, gay, bisexual, transgender, whatever. All these people who believe the Democrat Party cares about ’em and is looking out for ’em, running interference for ’em, look at what they’re learning. Look at what Trump is exposing. Look at what Trump has already exposed about the operations of the deep state. That is the administrative state of unlimited bureaucrats who are able to rule over this country without having to pass a single law, without having to ever be elected. That’s really what the deep state is. It’s not just a bunch of intelligence people. But it’s the entire bureaucracy made up of career leftists, predominantly, and nobody knows who they are. And they can issue regulations from any department they want. The EPA, the FDA, wherever they are. They can issue regulations which harm and punish law-abiding citizens making it tougher to accomplish construction projects or any other kind of task. But they’re not elected. There is no recourse. Trump is attacking and is succeeding in canceling a bunch of their regulations and targeting future regulations. When it comes to trade deals, Trump is on the way to unraveling a bunch of bad trade deals. It’s everything he said he was gonna do, from a guy who’s never done it before. They can’t allow this. “They” being the Washington establishment. They can’t allow some guy not part of the club with no experience to come in here and make this kind of an immediate positive change like the tax bill. The Washington establishment has benefited tremendously from convincing the American people that real change is not possible. It’s too hard. It takes too long. It costs too much money. So therefore, we go through campaigns and candidates promise this and promise that, but nothing really changes. The government never gets smaller. The budgets never get smaller. Entitlement programs get bigger. More and more people end up dependent on the federal government every year. Except this year. Food stamp usage is way down, a number of other entitlement programs are on the decline, and a guy who’s never done it before has shown in a year that it can be done. Donald Trump has done more to expose the game played by the Washington establishment. He’s gotta go — and not only that, he’s gotta be ruined as he goes. He has got to be thoroughly discredited. Now, they know they can do it. Look at the eighties. I use this as an example frequently. In the 1980s, we saw similar economic growth through similar tax cuts. We saw massive reductions in interest rates, therefore making homes more affordable. We saw, basically, an economic boom. We also saw the seeds being planted that would bring down the evil Soviet Union and Soviet-sponsored communism, and people lived through it. Yet a mere four years later in 1992 when Bill Clinton’s running for president, he wins on the notion that we’re living in “the worst economy in the last 50 years.” They were able… The media, the deep state, whatever you want to call ’em. The establishment were able to totally eliminate from people’s memories how good things were in the 1980s, and so similar things are going to happen here. These achievements of Donald Trump’s and these all-out assaults that he’s making — that he promised he would make — on the do-nothing Washington establishment? They can’t be allowed to be seen as success stories, and Trump cannot be allowed to be seen as competent. So this effort to get rid of Donald Trump has been joined by a lot of people. In fact, there are Republican conservative Never Trumpers in this “get rid of Trump” movement who are actually seeing lifelong dreams of their implemented, policy things I’m talking about. Bill Kristol. Go through the list of names. They are seeing things they have advocated policy-wise being won. They see them being implemented, and yet they are seething because Trump is the guy doing it. They’ve only been trying for how many years, 50? How many years of effort have gone into defeating the establishment or the Democrats or whatever? Here’s a guy who’s never done it before, never once run for office, doesn’t even come from the background, the networking to get you in position to run for president, here he runs, he wins. Not only that, he defeats the chosen one, Hillary Clinton. He defeats what they thought was a landslide lock. And so they’re not going to stop. And every Trump success angers them even more. This large and invisible administrative state exists in direct conflict with the representative republic that our founders established. And Trump is attacking it, and he is succeeding. So now looking into Trump’s finances before he ran in 2016, looking for collusion between Trump and Russia during the Miss USA pageants. In all these other stories, the shooting at the school and the attack on the NRA and all the protests of Trump’s so-called travel bans, all of this is organized, and it is purposeful, and it is aimed at doing great damage to Trump. RUSH: Let me grab Kathy in Columbus, Montana — I mean, figuratively here — on the phone. Kathy in Columbus, Montana, it’s great to have you. Hi. CALLER: Hi, Rush. I’m so happy that you took my call. Thank you. CALLER: I have two things to say. The first one I just wanted to tell you that I watched your video of you and Allie, and I am saying that cat absolutely adores you. RUSH: Ah, it’s sweet of you to say thank you. CALLER: She loves us. That’s a beautiful Abby, too, really cute kitty. The other thing I wanted to say is back when Obama was in office, you used to always say to us that you’re gonna let us know when it’s time to worry. Now, with all this stuff now going on with Trump and Mueller and with the elections coming up, I’m worried. I want to know: Are you worried? RUSH: Well, wait a minute. CALLER: Is it time to worry? RUSH: I think the word you’re looking for is not “worry.” I told people that when it was time to “panic” that I would tell you, and that means what? Move to New Zealand or wherever you’re planning on doing or going. But, no. Worry is a part of life. That’s with us each and every day. I worry about a lot… Actually, you know what? I don’t. I’m very fortunate. As the mayor of Realville, I really don’t worry about things. But a lot of people worry constantly. But that… No, no. That’s quite natural, and it’s very wise to be concerned about some of the things now. But keep it in perspective. There are things to worry about, but Trump’s agenda — no matter how he sounds accomplishing it, tweeting it and all that — that’s positive, good news that’s happening here for the country. There’s a great direction happening for a while now. So I went digging. NBC Politics, breaking news: “Robert Mueller’s team is asking witnesses pointed questions about whether Donald Trump was aware that Democratic emails had been stolen before … and whether he was involved in their strategic release, according to multiple people familiar with the probe,” and they, of course, are unnamed. Now, this has to be related to WikiLeaks. I don’t know… If this is the Podesta emails, then… I guess it could be both. I hate being right about some of the stuff that I’m right about. I would love to be wrong about it. I am not wrong about this whole thing. This is a gigantic fishing expedition. There isn’t any evidence yet. They don’t even have a crime that they are pursuing. This is open-ended, and they can literally make up crimes that Trump may have violated, and then they can go pursue them — and all they have to do is leak stuff like this! (impression) “Special counsel Robert Mueller is investigating whether Donald Trump [knew] that Democratic emails had been stolen and in fact worked with someone to release them before…” All they have to do is float that crap into the mainstream media sewer, and it ends up everywhere as, “Did you hear the latest about what Trump might have done?” And this is how they do it. This is a fascinating piece. By the way, I gotta take a break. There’s a fascinating piece by a former FBI agent in TheHill.com that explains how Mueller is doing this, and it’s pretty good, pretty interesting. Yet Mueller charged him with lying. So this agent, former agent attempts to explain how this happens with Mueller. “To better understand the tactics … let’s look at a typical scenario in the Mueller system to see how accusations of lying were used to decide disciplinary cases.” Here’s a hypothetical. “When ‘Agent Smith’ made a headline-grabbing appearance at a dinner party with a guest list that included [someone] connected to the defendant in a major case he was supervising, a conflict-of-interest was suggested. Now, I want you to read this piece. It’s much easier to follow when you read it, because you’ll have to read a paragraph again to understand this. We’ll link to it at RushLimbaugh.com. It’s TheHill.com: “Scarlet Is Red, and That’s No Lie.” Here’s how the charge would be worded, according to this agent. Here’s how Mueller might get this agent for lying when he didn’t. “When asked to describe the vehicle you drove to the dinner party, you said the vehicle’s color is red. However, the manufacturer lists the color as scarlet. “Since you attended a university whose official color is scarlet, you should have known the difference between scarlet and red. I, therefore, charge you with ‘lying under oath,’ and if found to be true, that you be dismissed from the FBI.” So in this example, this agent, who goes to dinner and there is a defendant there that the FBI is pursuing… He hasn’t talked to the defendant, but it’s an appearance of conflict. Mueller wants to fire the agent, but the agent didn’t do anything wrong. So in the interview of the agent, he asked the agent what color car he drove. “Eh, the car’s red.” “The manufacturer says it’s ‘scarlet.’ You lied to me!” This is an agent in the FBI writing about potential techniques that Mueller uses — not the FBI, that Mueller has used — to nail people for lying under oath. Remember the premise here is to explain how in the world can three people who looked at the Flynn interview conclude he didn’t lie and yet Mueller charged him with lying. So the example is: Scarlet is red. (summarized) “You told me your car is ‘red.’ The manufacturer says it’s ‘scarlet.’ You should know that. You probably do know that. You’re fired.” We’ll link to it at RushLimbaugh.com so you can peruse it. But that’s the kind of stuff that the special counsel can do. If they can’t get you for anything, create the process crime where you lie to them during an investigation. But this business of Trump and this now deciding to look at whether Trump knew the Democrat emails were gonna…? If Mueller hasn’t done that…? I mean, has Mueller even examined the DNC server to see if they were hacked in the first place? We don’t know that FBI’s even done that! Mueller, if he’s just now getting around to asking if Trump had anything to do with the DNC emails? That was supposed to be one of the main points of this whole thing! He’s just now getting around to it?